IAFF Glass Top Table with Free Shipping. 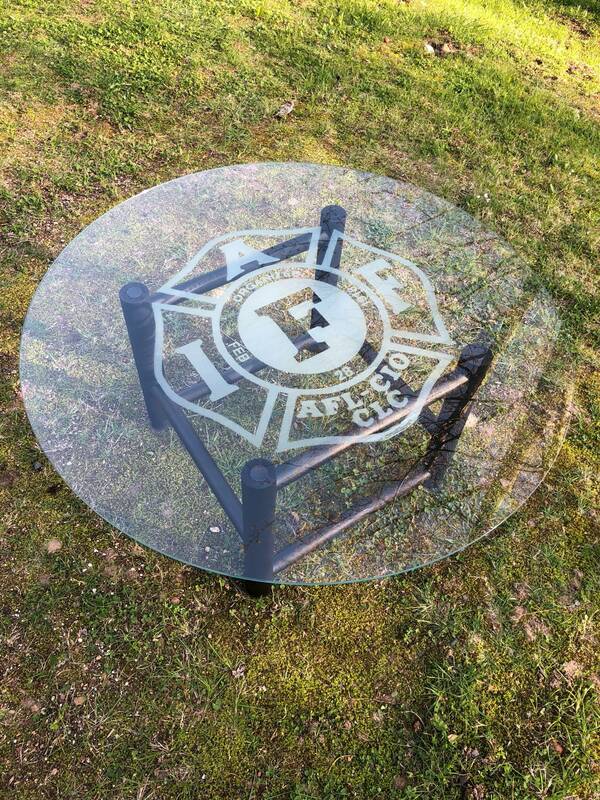 This 36 in IAFF table with Base will look great in any Firefighters home. The table is approx 17 inches high. 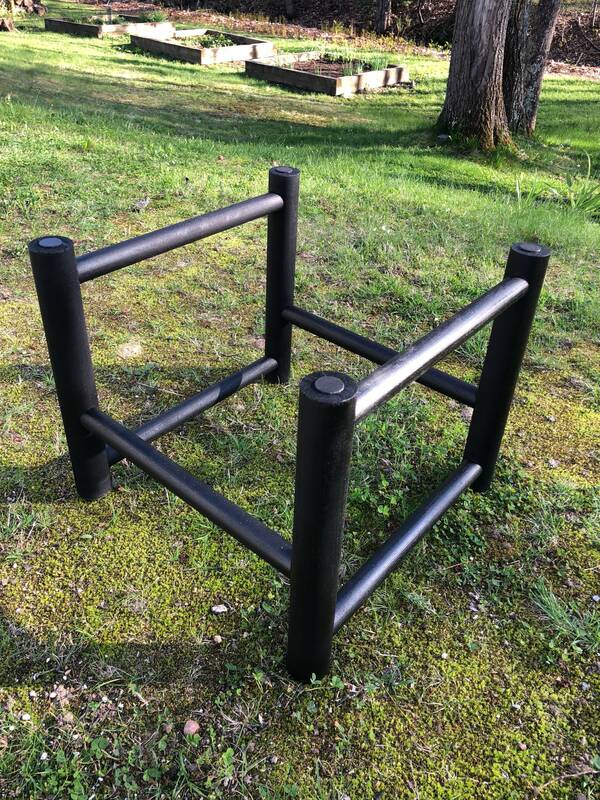 The base was hand made out of heavy duty dowel rods. 10% of this sale ($40.00) is donated to the IAFF Charitable Burn Fund. If you have any questions, please email me at jandbshaffer [!at] metrocast.net.